I recently upgraded my home theatre receiver to support 3D. As part of the process, I had to unplug all my HDMI cables and move them to the new receiver. Much to my chagrin, after I powered on the new receiver, only one out of four devices worked. They were all connected with HDMI, and they all worked with the previous receiver. After a bit of research, I realized those devices that weren’t working had their cables backwards. Yes, the act of simply using the other side at each end brought my video back to glorious life. 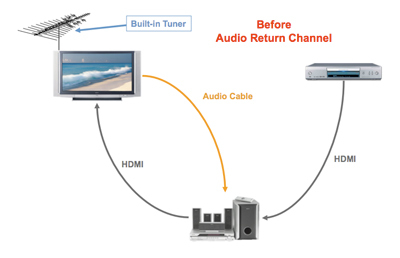 Apparently, this is normal with HDMI cables supporting Audio Return Channel, or ARC, a new feature of HDMI 1.4. Apparently with HDMI 1.3 it didn’t matter. Below is a link to an explanation. I hope this saves you a lot of wasted energy and frustration! Look, Ma! I’m on [Japanese] TV!